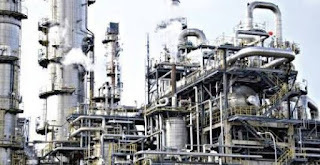 Port Harcourt Refining Company, PHRC, Nigeria’s biggest refinery, has been re-streamed and now producing between three and five million litres daily, according to the Nigerian National Petroleum Corporation, NNPC. 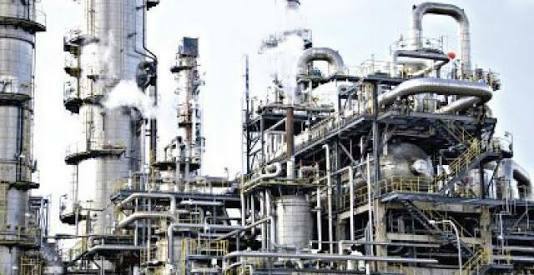 The re-streaming of the refinery, which had been down for months due to poor maintenance and shortage of crude feedstock, the management said, was aimed at optimising available capacity at the plant to alleviate the suffering of Nigerians in accessing petroleum products, particular premium motor spirit (petrol). Meanwhile, the Managing Director, PHRC, Dr Bafred Audu Enjugu, was quoted in a report as saying that the Fluid Catalytic Cracking Unit, FCCU, had been running, while some products from the primary processing units have been blended to generate significant volumes of PMS. He said the premier refinery would sustain its production and contribute to the nation’s petroleum products pool, which he hopes will reduce the pressure on the nation’s foreign exchange. In another development, NNPC has urged motorists to desist from panic buying of fuel, saying it had deployed over 200 truckloads of petrol to Abuja and its environs. The NNPC in a statement by Muhammad, assured that the current petrol shortage would soon be over, noting that the problem had been largely resolved in Lagos, while the queues in Abuja were reducing by the day. Also, the Department of Petroleum Resources, DPR, has vowed to clampdown on petrol stations found hoarding the product and engaging in other sharp practices. Speaking during a tour of petrol stations in Abuja, DPR’s Director, Petroleum Resources, Mr. Mordecai Ladan, said DPR was stepping up its monitoring activities and would mete out severe sanctions to petrol stations found wanting. He called on marketers to shun sharp practices and support the efforts of the Federal Government as well as other stakeholders in bringing an end to the fuel crisis. During the tour, two filling stations were sealed, while the product of another filling station, an NNPC affiliate station, Tempo, was dispensed to motorists for free. The two stations that were sealed are Zen-Hajad and Kubewas Oil Service, all in Gauraka, Kaduna Road. Ladan said ZHL was sealed for hoarding and diversion, while Kubewas for abandoning their station on sighting the DPR monitoring team.